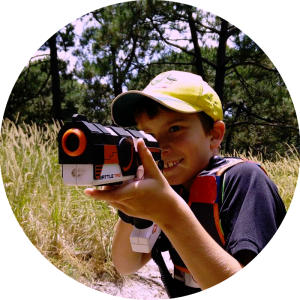 Laser tag is really popular with all age groups because it combines a safe physical activity with skill and strategic thinking. Its great fun because it can be played in small or large groups. All the friends – even the whole class – can be invited. This gives you a chance to play with everyone at the same time, in team or individually scored games. We play outdoors – typically in lovely natural settings like public parks and large backyards. Ovals are good too! Our games are designed to maximise physical activity and fun – players run for ammo, health or to respawn. We can do large events – feel free to invite the whole class to the party – our crew will keep order and marshal the kids. All our functions are private, and the only kids playing will be the ones you invited. You control the foods and beverages served at the party. Strangely enough, the games are pretty quiet! The kids are so focussed you only hear pew-pew shooting sounds. Our Crew are there to help you host your event and keep the kids safe, so you can relax and enjoy the party too. We have many different game modes which are age appropriate for 6-8 yo, all the way through to much more complex asymmetrical games suitable for cadets, team-building and experiential leadership training for young adults. We mix up team and individuals games with just fun plain fun games like Martian Wolf (aka laser tip) or Zombies. Teenagers can choose more challenging games like King of the Hill, Capture the Flag or Disarm the Bomb. These require strategic thinking, terrain surveillance and close teamwork. Best of all – we come to you! Our church youth group hired these guys to run laser tag at our church yesterday night and they killed it! The two young lads who ran the game were very passionate and they knew what they were doing. The kids had a great time! My son had his 7th bday party yesterday and the kids truly had a blast with laser warriors!👍Running around, laughing and chasing one another.. while the parents could take a break and have a nice chat!😆 Would definitely recommend this!!!!! Laser warriors mobile laser tag is the best party ever .This company is highly recommended. The staffs are friendly and very helpful .My son’s 12th birthday is spectacular , the kids said the party is awesome, superb and fantastic, they have fun and a great time ,A huge thanks to Linda and Cameron for making my son’s birthday special . My daughter and her friends had such a good time. I highly recommend Laser Tag Warriors. Dean and Linda were really great to deal with and the staff they sent were so good with the kids and kept everyone engaged. Thank you! So much fun for all ages. Booked for my daughters 11th and had from ages 5-38!They were amazing and kept everyone engaged. They all loved it and had a great time 😊Thanks! THIS IS ALSO FOR ADULTS!I have used these guys for two Reconnekt events so far and each time it's been so freakin' good! Couldn't recommend these guys more. Both times we've used them, they have exceeded our expectations. The staff are great. Their response time is great. The activity is soooo good.HOT TIP: When looking for a place to set as a location go to somewhere there's a lot of bushes and trees. It makes it much more fun and real! We used Sydney Park, St Peters. There's a lot of places there that are so good for this. My son had a laser warriors party yesterday for his 11th birthday. Our coordinator Flynn was amazing!! The kids really enjoyed the whole experience. I highly recommend laser warriors. A fun activity for the kids and a hassle free process for me from start to finish!!! Thank you for made my kids Birthday Super FUN.It was run so smoothly with enthusiastic staff who got the kids pumping and running around with joy. My kids (7 years old) and their friends were so happy and No one was bored.Anton did a phenomenal job keeping the kids entertained and laughing all day long. They handled my twins 8th Birthday party. 42 Kids came - yikes! . It was run so smoothly with enthusiastic staff who got the kids pumping and running around with joy. A massive thank you. Can highly recommend Laser Warriors Mobile Laser Tag. From start to finish the organisation and hosting of my son's birthday party was perfect. We had the Laser Warriors team out for my sons 9th bday. Cannot recommend them enough. The boys had the best time and got lots of exercise and were so happy. Thanks for being so professional from start to finish. And thanks for making my sons day truly special. Linda and the team were amazing, Linda patiently emailed back and forth with me throughout the process and when the rain set it’s sights on the day there was so much flexibility available I️ couldn’t believe it. I️ can’t recommend these guys highly enough !! Fantastic service through and through, prompt responses every time! Liam and Scott were FANTASTIC on the day and all the kids had a blast they absolutely loved it and were exhausted by the end of it. No one was bored and the boys did a phenomenal job keeping the kids entertained and laughing and the staff were happy, accomodating and all with big smiles . Many thanks for making the day super special!! My son loved it!! Thank you to Linda & team. My 10 year old & his special forces had a fabulous time at the park with Laser Warriors. Nick & Imogen were brilliant with each & every commando. A perfect way to celebrate his birthday. We had a small group of 12-13 year old boys. They had a great time and despite a fairly treeless park the bunkers helped. Our LaserWarriors instructor made it really fun with a variety of games. I had a combined party for my 7 and 9 year old as they have a lot of mutual friends. It was great. The laser warriors staff managed to control, entertain and exhaust all 20 odd kids. The kids had a ball, and the parents were glad to see them all being active outside! My only tip would be to do the cake before the laster warriors activity, otherwise you'll loose the benefit of exhausted kids by pumping them full of sugar again! Totally seamless! The kids had an awesome time, the crews kept them engaged and busy the entire time. We would definitely recommend these guys. We had Laser Warriors entertaining the kids invited to my son's birthday party. He turned 6 but the guests ranged from 4 to 10 yo. The party host (Anton) was great with the kids, he even helped the birthday boy team to win the games (without him realising it)!!! The booking was super easy, Anton was enthusiastic and he kept all the kids engaged in the games for an hour!!! The kids had a blast and my son had a big smile on his face for hours!!! We highly recommend them for a fun filled birthday party. Thanks again to Laser Warriors!! I booked Laser warriors for my son's 7th birthday. I wasn't quite sure what to expect but was delighted with the result! The kids had a ball and so did a few parents who got to join in � I love that you can choose your venue and it can be outside in the sunshine and fresh air. Booking was quick and easy, Linda was prompt in replying to all my enquiries and Josh who ran our session on the day was very good with the kids. Highly recommend! The BEST Birthday party I've organised. Even the parents are loving it! Linda is very helpful from organising the booking and the staff are lovely and very helpful with the kids. Thank you! My daughter turned 8 and for her 1st laser tag experience she had an amazing time as did her friends. From enquiry to end of party everything was amazing. Cannot recommend Laser Warriors enough for an awesome laser tag party!! Highly recommend Laser Warriors!!! A great outside option for a birthday party, especially for 10 year old boys as we’ve just experienced!!! Thank you to Linda and her team for the fantastic Laser tag party at my son’s 8th birthday. The attention to detail in the logistics was excellent and the kids had a fantastic time! I would highly recommend this organisation. Thank you. Thank you to Laser Warriors, and especially Josh who set up and ran a fantastic party for my 8 year old son’s birthday. The boys had a great time, and my husband and daughter even joined in as it was so much fun! Highly recommend this company for a smooth, well-organized and well run event. Was so easy to organise with a great team to help you book and then the 'boys' that turned up to make the party magic happen. Thanks again! My son absolutely loved his party with Laser Warriors, as did all the kids! Great set up and run really well! Highly recommended! My son Oscar loved his party. Linda was very organised and happily answered any queries a long the organization process. Josh ran the party brilliantly and the children were busy and having fun the whole time. Definitely recommend this company! Thank you. The Imogen and Tessa did a great job on Sunday – they were punctual, courteous and directed the fun for the girls very effectively. They ensured the girls had plenty of water breaks (it was a hot day) and were really empathetic.my Birthday Girl (11 y.o. Lily) and her friends had a great time. Well done!Geoff. My son said it was "the best birthday ever". Scott was fantastic and we couldn't have asked for a better day. Linda was fantastic to deal with & the crew Toby & Sam (apologies if mistaken names) were friendly & well organised. I was impressed how well they controlled 12 8 yr old boys.I would recommend some sort of certificate or maybe a print out of the games played & the results just so the birthday person has a keepsake from you.Overall i had three mums ask if they could steel my idea of using your company for their own childs birthday and how it was nice to be able to sit back & watch.Top job LaserWarriors! An excellent way to keep the young people entertained while we celebrated my 40th birthday. Brilliant staff and very professional. Would definitely recommend! So much fun for 10 year old girls. Beautifully managed. We had a great morning. The Laser Warriors team were fabulous. On time, professional, able to talk easily and relate to their audience. I would recommend them for a birthday party for boys and girls, cubs, scouts, camps etc. My experience with this fantastic company has been brilliant from start to finish. Linda was so efficient, friendly and accommodating. The communication was excellent, everything was so easy! The party hosts were amazing with the boys at my sons party. They were enthusiastic, engaged and very professional. They were exceptionally friendly and polite. My sons Birthday Party was a breeze. I got to sit back and relax, I was able to enjoy watching my son and his friends play and have a great time under the supervision of our wonderful hosts. I would confidently recommend Laser Warriors to any parent. I'm just so impressed! Laser Warriors mobile Laser tag party was the best! I found every step of the booking process to be so easy and professional. Linda kept in touch to ensure everything was spot on. The team on the day was so engaging that all the kids had a blast. I highly recommend this for a fantastic kids party. 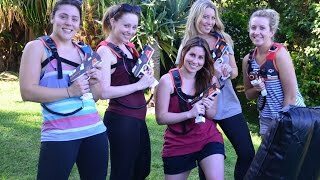 What a great idea: laser tag - outdoors! It's like paintball without the age limit. Laser warriors took care of everything. Nick arrived early and ran one more game when we were over time. Great party option. They managed our 7 year olds party - lots of running, lots of energy and lots of health competition. Thanks Angus! Laser Warriors made my daughter's birthday party an absolute success. I have received multiple messages from the parents as too how much fun was had. They couldn't stop talking about who shot who. The team we're ultimate professionals who enjoy what they do. Both my husband and I are booking a corporate function for our respective teams. 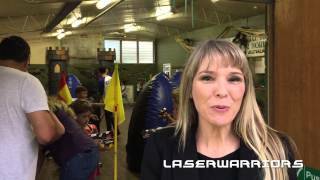 We had a great experience with Laser warriors for my 8yr old sons birthday. Aaron and James were great with the kids and were very organised and friendly. Booking was easy! My son and his friends loved it and wants another laser warrior party next year! Tobias and David were terrific with the kids aged 9-12, they explained the equipment & rules really well and were happy to help every step of the way. The kids were delighted when Tobias and David joined in the fun! We would highly recommend Laser Warriors ! I found LaserWarriors online for my son's 9 yo party and it turned out to be the best experience. From the moment I spoke to Linda through to saying our 'Thank you' to the crew, Luke and Tobias, at the end of the party it was an effortless party to organize. Linda was full of good ideas for me to tailor the party for Matthew's 18 little friends in a nearby park. The crew were more than successful in keeping all of the kids fully engaged and on the go the whole 1.5 hours. They loved the rules and imaginative ways to play. If only we could tell how many kms they ran that afternoon! We've had wonderful comments from the kids and parents alike. Well done to Linda and the crew. We had absolutely amazing time. Kids had an absolute ball!!! Ewan was our host and was great with the kids! They were exhausted and were kept entertained the whole time. Job done!!! 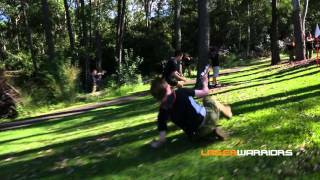 We had LaserWarriors for my daughter's 14th birthday in Cabarita Park. Scott was excellent at keeping the game going and the 10 girls completely engaged and having fun. All the girls loved it and my daughter has already started lobbying to do it again for her next birthday. My son & 19 friends had an amazing time! Great booking process and hassle free throughout. Thanks so much laser warriors! I rang on a Monday and they were able to provide everything we needed for the party the following Sunday. The booking staff were friendly and helpful. The young staff on the day were great. In order to handle 15 boys you need to be firm but they were able to keep it fun. It was all done with no fuss, it was easy and fun and the birthday boy is still talking about he says its the best party he has ever had. Feedback from the parents of the invited guests was positive. It was good times had by all. For an energetic, fun and well co-ordinated event Laser Warriors were amazing. The staff were helpful, courteous and on time! My sons 10th birthday party was a hit! Thank-you to all! Highly recommend this party option. Gabriel and his friends were thrilled to play outdoor laser tag on his party, they had an amazing time! As parents we knew the kids would enjoy it very much (Adults were happy to have a nice quiet hour for themselves) and we would definitely consider using your services again. Thank you Linda for looking after us, for your suggestions and for sending this very nice young men (can't remember his name!) to assist us with everything. Best wishes! Just used Laser warriors for my son 's 8th bday and they had a great time. The guys turned up in time, they were organised and they were great with the kids. My son asked if they can can back next year!!! Highly recommend laser warriors. LaserWarriors were awesome! My 8 year old son and his friends had a ball. Couldn't recommend highly enough as a great party idea and great people to deal with. We had an 8 year old party in the park with Lazer Warriors. Absolutely fantastic. Kids loved it. I loved it. An hour of solid running and fun. The team were fun, organised, kind and knew what they were doing. Thank you. Thank you all so much for making our son Jesse's 11th birthday so fantastic. He had such a great time with his friends in our backyard that it will be a party he remembers forever. His buddies were entertained non stop for 90 mins by LaserWarrior,s crew David and Scott who were awesome. I'd really recommend LaserWarriors to anyone looking to create a great energetic party for both boys and girls. We held this party at my house because unfortunately it was raining so the park was not possible. Despite the rain the boys had an AMAZING time and Josh and Luke managed to keep the boys engaged and running around the whole time. LaserWarriors kept in touch in lead up to the party to make sure all was planned well despite the rain. I would recommend LaserWarriors without hesitation to anyone. Thank you!! The team at LaserWarriors are very professional and helpful but most of all show the kids a great time. My son had an awesome time with his friends at his 7th birthday party! There is nothing better than kids having fun outdoors in nature! thank you LaserWarriors for putting on such a great party for my 10 year old son and his friend yesterday.The boys had a great time and the hosts were professional and well organised. The whole experience from booking the party to the actual day was seemless and simplethank you again!! thanks for a very well organised and fun party this weekend in Maroubra. Our 8 year old son and his friends had the best time. It is brilliant to be able to play laser tag outside in a park and Luke looked after the kids very well. Thanks again! Thank you for a wonderful party. The kids had a spectacular time, and your team did a fantastic job getting all the kids geared up and playing safely. They were punctual and very organised. First rate party experience - our 10 year old and his friends absolutely loved it, and so did the parent participants! Prompt and clear communication from Linda from the outset, excellent gear and the lovely Flynn ran the event with calm and confidence. Highly recommended. We used LaserWarriers for my husbands 40th.... I know... big kid! But to quote my 8yo son... "it was epic!". Very well run games, engaging facilitators and I loved that the adults took it more seriously than the kids! (And we're groaning in pain he next day!). Highly recommended from 5yos to 50yos!! We recently used Laser Warriors for our son's 9th birthday. We held it in a park and it was a breeze from start to finish. They turned up on time, took 14 kids in hand, gave them enough water breaks on a hot summer day, and the kids enjoyed themselves so much that they said 'it was the best party ever'. Highly recommend this to others. LaserWarriors made my son's 10th birthday party a breeze. The kids loved it and the grownups loved how well it was handled. Chris and his assistant were both great with the boys. I would highly recommend LaserWarriors. My son has enjoyed a number of parties with Laser Warriors so for his 8th party he begged for us to let him use them. Luke was very professional and patient with 16 over enthusiastic boys. The kids had the best time and I was advised that this was the BEST PARTY EVER!So whilst I am enjoying being the coolest mum ever a big Thank You to the Laser Warrior team for everything. Thank you so much my son had an awsome time for his birthday with a few of his friends saying it was the best party they had been to. The staff were helpful and friendly. We would recommend laser Warriors to our friends. We celebrated my son's 7th birthday over the weekend and I couldn't recommend Laser Warriors more, he had the "best party ever"! Thank you Linda for making the process so easy and for always being available to respond to any questions. Luke was fabulous too and kept all the boys entertained and engaged, the adults want to join in next time. The guys from Laser Warriors did a great job herding 20 x 7 year olds at my son's birthday party. Thanks heaps!! What a superb afternoon. Thank you Dean & Jess for your fantastic direction with 16, 10 year olds you worked tirelessly and are to be commended. Harry just had the best birthday party ever. Worth every dollar. Thank you. Harry had an awesome 10th birthday party, Estebann and Jess were great with the kids. Lots of fun, and Beauchamp park was a great venue. Thank you Linda and team. A very easy party for the parents! 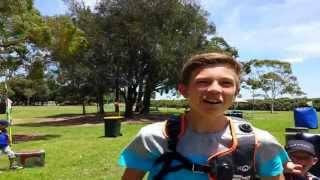 My 10 year old son and his friends had a great time with Laser Warriors at Coogee Headland. They have done many sessions of indoor laser tag over the years and agreed this was more fun. Very professional. Xavier and his friends loved his LaserWarrior party! We celebrated my daughter's 10th birthday with a Laser Warriors outdoor party in the park. Nick and Robyn were the staff on the day and they did a great job of explaining and helping the teams to play non-stop laser tag for 1 1/2 hours. We loved the professionalism and customer service throughout the booking process and Linda was always on hand to answer my questions and deal with our changing number of guests. They were also brilliant about including the birthday girl's younger siblings and nothing was too much trouble. I would definitely recommend Laser Warriors. We held a Laser Warriors party last weekend for our 2 boys to celebrate them turning 8 and 9. They invited 14 friends and they all LOVED it! I heard one boy tell his mum at the end that it was the best party he'd ever been to. Nicholas and Daniel were excellent on the day at organising the boys and giving them instructions and Linda was really helpful with our booking and keeping us in the loop. I would definitely recommend Laser Warriors for your party. Another big hit this year ! We organised LaserWarriors for my son's 12th Birthday Party. All the boys had a fantastic time at Wahroonga Park playing in their teams against each other in different games organised by the LaserWarriors staff. Such a great party and loads of fun to watch. Having had Laser Warriors run an event for us previously, we had no problem asking them to host another evening event for a group of 20 scouts (1st Willoughby) in a nearby park. The kids had a great time, and Nick and Dan ran the whole thing without a hiccup. The equipment is excellent and the games are great for team work, strategy, for individual competing, and for just having fun. Thanks Linda & the team for being flexible and helpful despite us being a bit last minute! Highly recommended. My son asked to have a LaserWarriors party. Well that happened on the weekend with 14 boisterous children around the age of 10.The kids and the parents enjoyed it immensely, and I would also like to say that the organisers were fantastic, professional and the kids responded with great zest.I would recommend this party to anyone who loves to have fun.Well done, much better than the drab indoor events that we have all come accustomed too. My son and the other boys had amazing time. Planning, running, shooting...... Boys were so enjoyed for completing different missions. Thanks to laser warriors for providing such a wonderful birthday party! I was quite relaxed during the party as the organisers have done all. for me. When I was faced with having to entertain 13 8 year old boys at home for my sons party I was filled with dread, and then stumbled across Laser Warriors on google.The best decision I ever made. The kids had an absolute ball and we loved kicking back and watching them all have fun and burn off loads of energy! The staff were fantastic and unlike some hosted parties were very engaged with the kids helping to make everyone feel like a winner!Thank you Laser Warriors! An excellent party for my 8yr old daughter and her friends (both boys and girls). So much nicer than the indoors option.I would recommend very strongly. The girls smashed it! Hi, my 6 year old son had the best birthday this year playing laser tag with his mates. I just had to make sure they had enough drinks and some snacks. Too easy. Thanks to the laser guys for organising the games and helping the kids out. Keep up the great work. We used Laser Warriors for our school fair and it was a hit! The kids were so excited about it leading up to the day and kept coming back to play again and again. It appealed to a wide range of ages too. Laser Warriors were so well organised and helpful in promoting the fair, and it was profitable for the school! Awesome party, well managed and easy to book and organise right from the beginning. Very professional. Thanks to Daniel & David for wrangling a large group of rowdy 7 and 11 year olds without any dramas! Appreciate the attention to detail, Linda. Thanks for making it one of the easiest and most fun birthday parties we've ever had. A huge thank you to Dean and Luke for being able to control 25 sixteen and eighteen year olds for an hour and a half - Cudo's to you!! They all had an absolute ball and were exhausted by the end of it - Thank you Linda for being prompt with all communication and tailoring a package to suit what we needed. Would highly recommend LaserWarriors to any of our friends. We had a 6yr party in Five Dock Park. The kids loved it and are still talking about it. What a great activity that was easy to organise and fun for all. My son and his friends had a wonderful time ! Crews were very helpful and friendly, such a great interactive birthday party ! Thank you to the team (NIcholas, Flynn and Tammy) who did a wonderful job yesterday at our party in Balmain. The birthday boys and their friends had an awesome time in a fun, safe, and active outdoors event. LaserWarriors really did tick all of the boxes for a 10th birthday celebration.Thanks also to Linda and Dean for their support of Fr John Therry School. Thank you for a great party for my 7 year old- all the kids of all ages loved it & there were certainly a few jealous adults who wanted to get involved too. We had a joint birthday party for 20+ boys in a local park. It was excellent!! Chris and his team arrived on time and did a great job with the event. All the boys had a fantastic time. Thank you LaserWarriors!! Booking LaserWarriers Mobile Laser Tag was one of my best decisions! I went from being just "Mum" to "Super Mum". The kids had an absolute ball and tell me it was "the best party ever!". It was the perfect activity for a bunch of Star Wars obsessed youngsters! Before I booked, I was a little hesitant as I wondered whether it would be suitable for a 6th birthday party - but the staff were awesome and even the little ones (4 years old) were having a great time. Being able to host it at our own venue meant the kids were only playing with children they knew, and I could still do all the party planning and decorations that I love. Thank you once again for a fabulous afternoon. Your staff are a credit to you. My son Mika had his 9the birthday party inside a small hall at night. With 15 kids. Your crew Sam and Olivia are professional and well organise. I was not sure about indoor and in the dark. It turned out really fun.we had many different party in the past. But this one so far is the best. Kids had a great time.thanks! My son celebrated his 8th Birthday with friends and thoroughly enjoyed his Laser Tag experience. The staff were friendly and very engaging..thank you for a fun packed day! This was brilliant for Flynn's 9th birthday party. Thank you Dean and the team for making it so easy with your professionalism. Great that you will travel to the Central Coast. We had 14 boys lasertag party at a park and it was awesome! The boys had fantastic time and the crew were great host! Definitely hassle free! Laser warriors hosted Ben's 13th Birthday yesterday. It was a great success !!! Ben , his brother, friends & cousins had a great time. Thanks Marcus & Nick for helping to make Ben's party so much fun. You were both friendly & motivating. Thx again. Easiest birthday party ever! The Laser warrior boys were great. The Kids were pumped and exhausted at the end. Everyone loved it. Thanks! 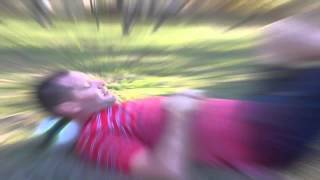 We had a laser tag party in our back garden on October 25th, for 15 boys, for my sons 9th birthday party. James and the two other assistants were brilliant, they arrived right on time, helped us work out how to use the space in our garden so that the kids were safe and still having fun. For an hour and a half the boys had incredible fun, James was always in control without even having to raise his voice, and it all went so smoothly. Thanks Laser Warriors, I will definitely recommend you to anyone wanting to host a laser tag party. This was the easiest party I've ever hosted. We had 40 12 year olds that had a fantastic time with Laser Warriors. The guys were well organized and amazing with the kids. I would definitely use them again. Awesome party! Kids had a great time - even the littler fellas. Thanks for a great time LaserWarriors! Awesome ! We loved it. Thank you guys for a fantastic event. Just awesome, the kids had a ball. All we had to do was turn up and have fun ! An outstanding party, the boys and girls loved the games, leaving we adults to prep the food for the remainder of the party.The staff were very friendly and professional and very accommodating to the situation.I can't recommend them enough, and we will surely be return customers. Oliver had his 7th birthday party at Elkington Park in Balmain on Sunday 12th July and he and his mates had an absolute ball. It was safe, well supervised and non stop action. All I needed to supply was water, pizza and cake. So easy and a great way to keep our energetic boys active and entertained for an entire hour. Makes you feel less guilty about handing out lolly bags ;-). Fantastic effort by Chris & David to handle 20+ 5-6 year olds. A lot of fun was had..! Laser Warriors is a great idea for a mobile party. We organised a charity day for vulnerable primary school children however I can see this being a great party idea for any ages! everything was great, only query is whether all the cables were connected properly as shooting directly at the bubbles sometimes did not result in it lighting up (ie shot was not recorded). Another great Laser Warriors party. This was the first time we had booked them ourselves but the 3rd time our son had been to a party run by Laser Warriors. We went to Beauchamps park, Chatswood. The kids loved it and ran and ran for over 2 hours. The staff Flick 'n Nick were brilliant with a lot of patience. Thanks again. LaserWarriors ensured my son's 7th Birthday was a complete success. Honre and Nick were punctual, organised, could relate to the kids, knew when to ramp up, give the kids a break and provide help and guidance. The kids had a ball and definately worked off any party food that was consumed! Thank you LaserWarriors. The boys had terrific fun, and the two coordinators from Laser Warriors did a very good job of keeping a dozen 10 year old boys under control! Lots of running and chaos, strategy is not apparently a strong point for 10 year olds. Can recommend this for kids in this age bracket, it was a very popular party. Our son Alex had a fantastic party. He and his friends were busy, entertained and had "the best party ever"! This was the most wonderful birthday party ever! The crew were on time organised and delightful to deal with. Our group of 20 children had a fantastic time and the adults looked on with envy! The best Sunday morning EVER! My son and 15 of his friends from school had such a great day for his birthday with Laser Warriers. It kept them busy, active and thinking for an hour and a half and I loved that the whole thing was outside in the park. 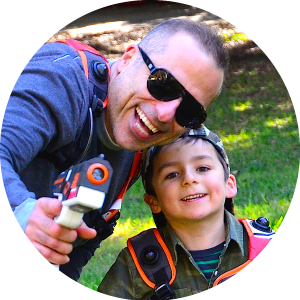 Being Winter, I did look into an indoor lasertag party but I found LaserWarriers to be much more value for money and so much better for the boys to be outside and near home. I had fantastic feedback from all the boys and their parents and would definitely recommend it to other parents. Laserwarriors Mobile Laser Tag delivered the 'best party ever', that's according to the boys who attended Ewan's 10th Birthday party last Saturday! They ran & shot their way through 1 & 1/2 hrs of high energy, well co-ordinated & brilliantly executed FUN! Highly recommended by all, especially as the parents could just relax, which isn't often when you have16 highly excited boys to entertain. Thank you guys. Very happy with your service, kids had a ball, would highly recommend to anyone, thank you once again for entertaining the kids. Laser Warriors delivered an action packed, high energy ,exciting party. The boys had a ball playing all the tactical games in the bush.. We were thrilled with the party and all the guests thought it was the' best party ever'! Thanks Laser Warriors. Laserwarriors Mobile Laser Tag was a great way to celebrate Joel's 9th Birthday. Easy for me and so much fun for him and his friends. They loved it and I know this is a memory they will have and love for a lifetime. Thank you. The quickest way to get started in Lasertag, Free for All is a game of survival where each player must fend for themselves. Shooting any other player will grant you one point, and defeating a player grants you 3 points. The player with the most points at the end of the round wins! Compete against all and sundry or form strategic alliances. A classic game played at laser tag centres with an exciting difference to prevent camping - you need to find the ammo pack to reload, and the med-kits to boost your health before you get fragged. The Gamemaster could dial up the activity by enabling 'Swap Mode' forcing you to find a new pack each time! Split up your friends into two teams and defeat your opponents! Team work is a must, as one successful hit will take you out! Team Frag has tons of extra configuration options, such as regenerating shields or temporary invincibility after being shot. Two teams fight each other for a crowded planet's scarce resources! Each team must steal energy points from the other's reserves, and bring them back to their own base. Stealing energy gives the player an energy shield that protects them from enemy fire... but don't get hit too many times, or you won't have any energy left to turn in at your Team Base! Whichever team has more energy at the end of the match wins! Two teams. Two flags. One Objective - to steal the enemy's flag! Your Blaster will flash Green whilst you hold the flag! Be quick - run back to your base and win the game! But beware - do not to get fragged with the the stolen flag before you get to your base, or it'll instantly get sent back to the enemy! Choose strategic locations for your team's base and flag before each match for endless variety! Tip ... with a twist! At the start of the game, one player is randomly chosen to be 'The Wolf'. Its easy to see who is 'it' - their sensor vest flashes and they can shoot! If you are The Wolf, select your target and shoot! A hit will turn THEM into The Wolf! While The Wolf is hunting you, you cannot shoot back. Your blaster collects point for you to bank at any of the four Team Bases. Don't hide from The Wolf too long, though - your Blaster can only store 10 points! You can't use the same Team Base twice in a row, and if The Wolf shoots you, he'll steal your points. Then YOU'LL be The MARTIAN WOLF! The Liquidators have come, and the Commandos must defeat them before time runs out! Each Liquidator has only one life, but a lot of health... and each time they're shot, they turn invincible for a short period! The Commandos might have more players, but with just a few hit points each, they're much easier to defeat. They'd better use their health packs to stay alive, because each time a Commando is defeated, time is taken off the clock! Take too many risks, and the match will be over in no time, and the Liquidators will win! A randomly selected player starts off the match as a Zombie. Shoot Zombies to disable them, but only temporarily because Zombies don't die. Uninfected players must try to survive, while their guns slowly collect points. Players can bank their points at any of the 4 T-Bases scattered across the city... but you can't use the same T-Base twice in a row! Don't sit still too long, your Blaster only holds 10 points! Careful, though! Zombies are out there! If you get shot by a Zombie, you don't have much time to scan a Med-kit to get cured! Take too long and the infection will spread through your body, and you too will become a Zombie!